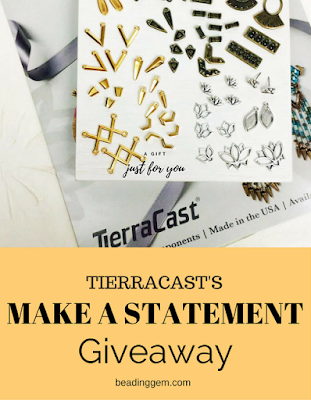 Not many readers actually comment but many came out in droves for the last week's TierraCast giveaway! That is not surprising since the quality and range of components they make never disappoint. Susie Hunter said, "Tierra Cast findings always add such a unique and professional look to any piece." Kathy added, "I have been making jewelry for about 15 years and I have ALWAYS loved TierraCast! The components are sturdy, beautiful, and are well made of excellent quality materials. You can't possibly have too many TierraCast components!" Thanks also for the lovely compliments I received on my designs! I hope they gave you many ideas to create your own designs. Especially if you have been ogling their collection for a while! So who won? I numbered all the eligible entries and got the random number generator over on random.org to do the picking. The lucky winner is Danielle Gregory! Congratulations! Congratulations to Danielle Gregory. Hope you find it helpful and fun.